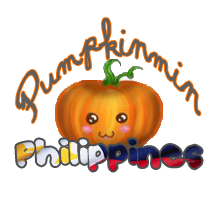 PumpkinMin Philippines (PMPH) is the first Super Junior Aegyo king Lee Sungmin fansite here in the Philippines. It aims to unite all fan girls/boys to express our love and gratitude towards the aegyo king Lee SUNGMIN. The group started before as text clan and eventually form an online base page. (The Pumpkinmin.PH in facebook) Then merged with Super Junior United Philippines as their one of the individual SJ fanbase. Also affiliated with other individual fanbases such as Teukangelsph(TAPH), Starfish PH, AllrisePH (ARPH), Ryeon9ph (RPH), Petals PH(PPH), CloudsPH and GengfanPH. As of now we we're joining international SUNGMIN projects, such as "sticky chicks" during Super Show 4 Singapore. And the current project "catch MIN if KYU can" in this coming Super Show 4 indonesia. We're hoping to join and to support other Sungmin fanbases projects in the near future. 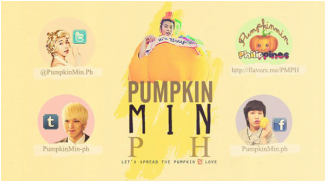 LET'S SPREAD THE PUMPKIN 민 LOVE!